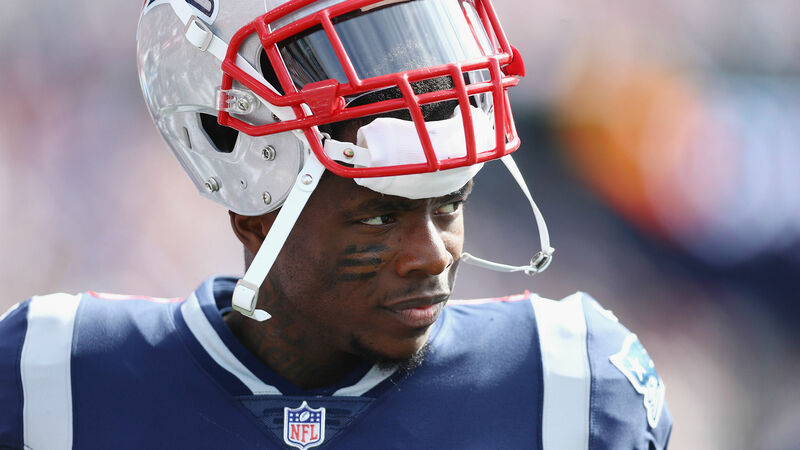 Josh Gordon will not be on the field for the Patriots’ first few possessions Monday. New England is disciplining the 27-year-old wide receiver for lateness, according to a report from NFL Network. The team will bench Gordon for about one quarter in its Week 8 matchup with the Bills. From there, Gordon will receive his regular playing time, the report says. Sources: The #Patriots are disciplining WR Josh Gordon during tonight’s game vs. the #Bills because of tardiness. He’s expected to be kept off the field for several series — about a quarter — as they continue to work with & manage him. It’ll be regular playing time after that. New England’s decision stems from Gordon arriving late to Gillette Stadium on Sunday before the team left for Buffalo, according to The Athletic. More context: Josh Gordon showed up late yesterday before the team departed from Gillette Stadium for Buffalo. The Patriots acquired Gordon from the Browns in exchange for a late-round draft choice in mid-September. He has caught 13 passes for 224 yards and a touchdown in four games with New England. Gordon has tallied 17 touchdowns in 45 career games.